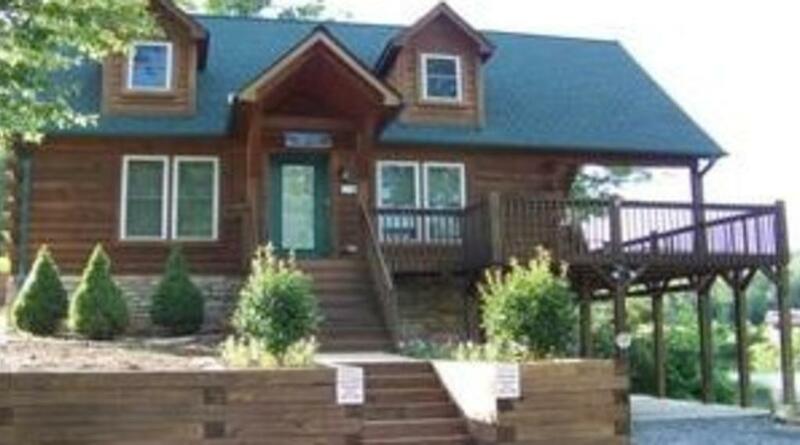 Costas Landing is a beautiful 3 bedroom, 2.5 bath, lakefront log cabin, on Laurel Lake, in the community of Laurel Lakes. The home features a large covered and open wrap around porch, gas log fireplace, awesome view of the lake, canoe, fire pit and is fully furnished. The kitchen provides all appliances and is well stocked to provide for simple breakfast, lunch, or preparing your favorite family dinner. The living room offers a gas fireplace, flat screen TV, Dish TV, WI-FI, DVD/VHS movie library, and French doors to the awesome upper deck. The deck has beautiful views of the lake and mountains. It is large enough to hold family gatherings, cookouts, or relax with a book on the comfy chairs. Enjoy the deck at night too. The night sky offers a breathtaking view of the stars. On the main level is bedroom with double bed, TV for DVD/VHS only, and full bath. Upstairs is where you’ll find the Master bedroom with Queen bed and half bath. There is also a Loft with a pool table for friendly tournaments. The Loft is a great spot to relax and peek out the large windows to the lake. The open lower level offers full bath, washer, dryer, college style refrigerator, kids table with games and movies, a futon for extra seating and sleeping, plus a double bed, Dish TV, DVD/VHS, all topped off with doors leading out to the concrete patio where one can relax outdoors in the Adirondack chairs, away from the sun and still enjoy the lake and mountain views. A propane and charcoal grill are available for your use. Walk out to the dock and drop the fishing hook in the lake. There are bream and bass waiting’ on your worm. Not into fishing? Bring a chair and relax with a book, watch the kids (young and old) enjoy the canoe out on the lake. The lake gradually deepens allowing for swimming. Laurel Lake is approximately 15 acres in size. No motorboats are allowed. 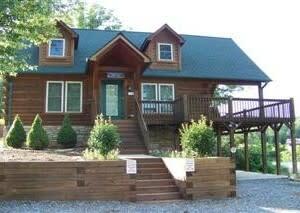 Costas Landing is just minutes from Lake Lure and Chimney Rock State Park.